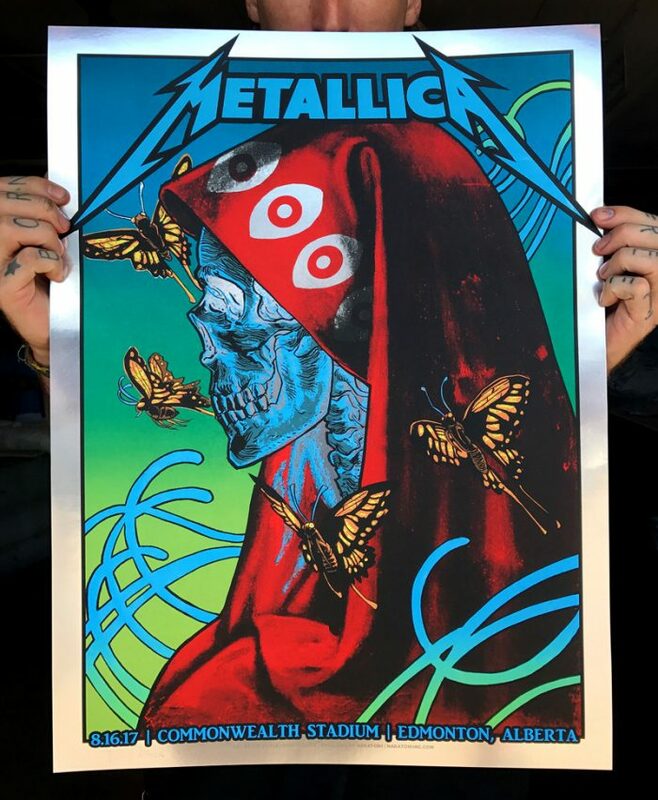 NAKATOMI x METALLICA- Edmonton print by Doyle! 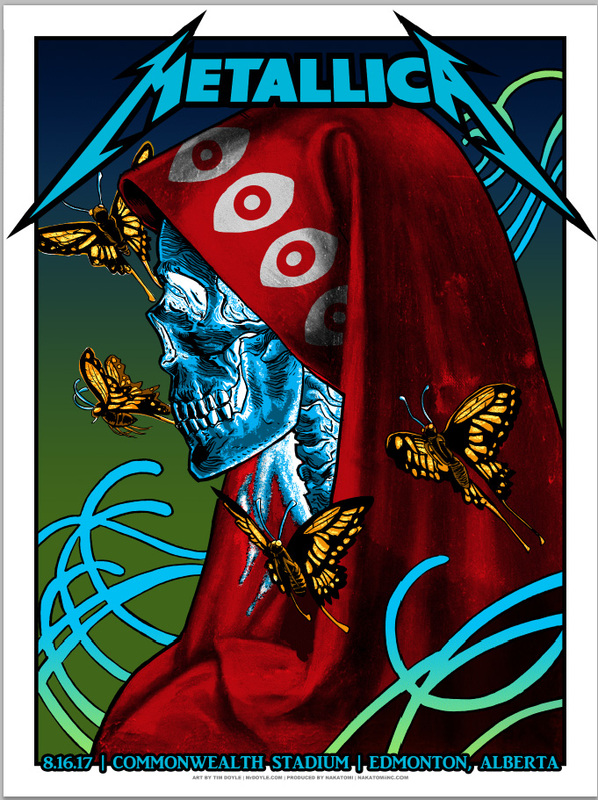 The final poster for the North American Metallica World Wired tour VIP poster series is here! These prints will go on sale just before MIDNIGHT Central time tonight, after the show in Edmonton. This 18×24 6 color hand-printed silkscreen poster features a split-fountain, and is signed by the artist in a limited AP edition for $50. These prints are in hand and ready for immediate shipment. All our variants (and most our regular) Metallica posters have sold out with the quickness, so BE READY! Prints are currently viewable HERE and will be activated for sale before midnight tonight! ← RogueNASA Hats+Stickers and the return of patches and pins!